When you get to Chandler, Arizona, enjoy a freshly prepared meal at Serrano’s. I highly recommend the chips, guacamole and carne asada taco. The family has expanded to seven additional locations in Arizona if that’s more convenient. 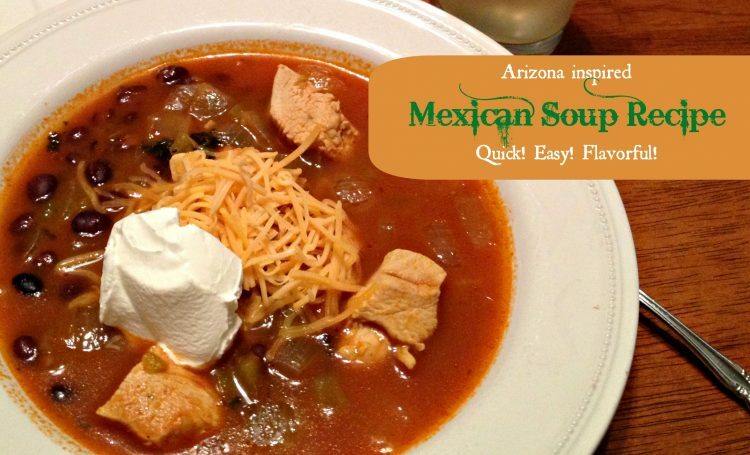 In the meantime, enjoy our Arizona inspired Mexican Soup recipe. It’s a keeper! Drizzle oil in bottom of a large pot and heat on medium. Add onion and cook, stirring to keep it from browning, for two minutes. Add chicken broth, tomatoes, cumin, and red pepper flakes to the pot. Turn heat up to medium-high and bring to a boil. Add chicken cubes and turn heat back to medium. Simmer for 10 minutes. Add salt and pepper to taste. Simmer 5 minutes more to heat the beans through. Remove from heat and stir in the juice of one lime. To serve: Ladle soup into bowls. Top with cheese and sour cream as desired. Crush tortilla chips over all or serve alongside. We enjoyed our soup with fresh lime soda (my hubby’s recipe), chips and guacamole. Corn bread would also taste great with this soup. Skip the oil. Dump the next 8 ingredients into the crockpot. Cover and simmer on low 6-8 hours. Taste and season to taste with salt and pepper about one hour before serving. Just before serving, stir in fresh cilantro (or 15 minutes before stir in dried cilantro to allow it time to rehydrate). Just before serving, stir in the lime juice. Serve as above. Do you have a favorite travel inspired dish? 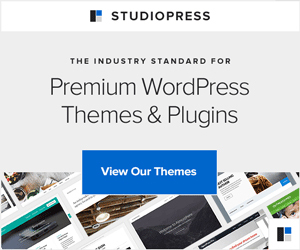 What inspired it? Thank you for sharing Karen for sharing. I tried it tonight and it was really yummy, even though my cabinet and grocery store were out of cumin. It did taste like tortilla soup without the corn. Is this like a Tortilla soup or another Mexican soup? I haven’t tried Tortilla soup yet, but I’ve heard so many people tell me how yummy it is, that I’m dying to try it! This looks easy to make, and quite delicious. I bet it would be easy for vegetarians/vegans to make substitutions to it, too. It’s not exactly tortilla soup, but probably similar since they’re inspired by the same core ingredients: cumin, cilantro, beans and tomatoes. Tortilla soup usually includes corn — at least the recipes I’ve seen. I love anything with sour cream on it! Yum! This looks so hearty! Thanks so much for the recipe! That looks really good. Love eating soups in the winter. I do too. My husband made homemade chicken noodle for tomorrow night. He even made his own broth! Our house smells so good. This looks delicious and easy to prepare- thanks for sharing the recipe. It is… and it is! And it’s healthy too!